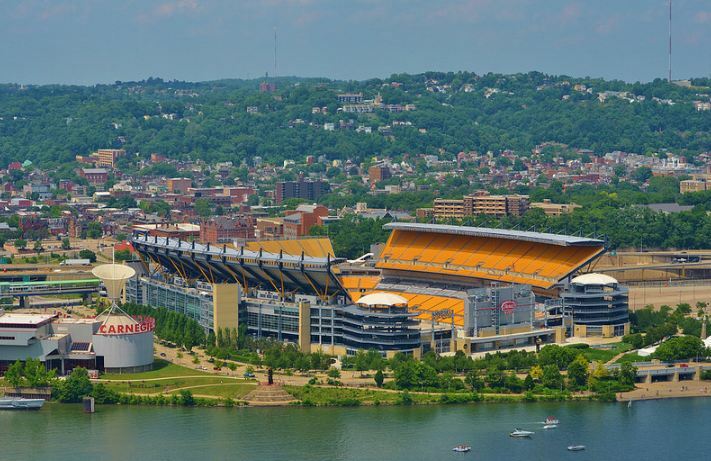 On the banks of the Allegheny River across from the expansive and scenic Pittsburgh skyline sits Heinz Field, one of the top stadiums in the NFL. From 1970 until 2000, the Steelers played at Three Rivers Stadium, a multipurpose facility they shared with baseball’s Pittsburgh Pirates. Like many other teams in the 1990s the Steelers began to look towards the future, and desired a bigger and better stadium. Initially owner of the Steelers, Dan Rooney, wanted to renovate Three Rivers Stadium to become a football only facility. After studies showed that renovating the stadium would be just as costly as building a new one, the Steelers shifted focus into having a new stadium constructed. 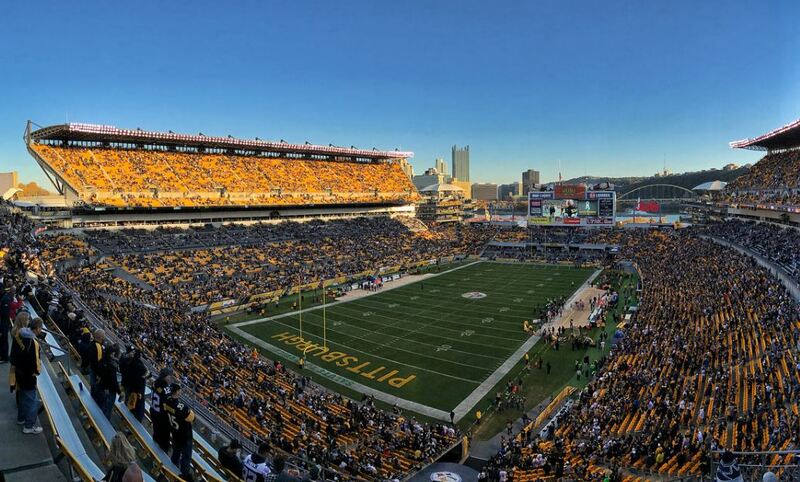 In 1997 financing was approved to construct new stadiums for both the Steelers and Pirates. Construction began on June 18, 1999, on a site adjacent to Three Rivers Stadium. As part of a 20 year partnership with the Heinz Company, the Steelers new stadium was named Heinz Field. The Steelers made their debut at Heinz Field on October 7, 2001 when they played the Cincinnati Bengals. Heinz Field is in the shape of a horseshoe, with the south end open, providing views of the downtown Pittsburgh skyline. Two, three tiered grandstands are located on both sides of the field, with the lower deck circling the entire field. A section of bleacher seats are located on a second deck on the north side of Heinz Field. The stadium has a capacity of 65,500 that includes 7,000 club seats and 120 luxury suites. Behind the seats on the south end is a massive 28 foot by 96 foot video/scoreboard. Heinz Field has many amenities including several entertainment areas, team stores and restaurants. Located on the east side of Heinz Field is the 40,000 square foot Great Hall where fans can check out memorabilia, murals and more of Pittsburgh’s sports history. A 35 foot by 73 foot HD scoreboard was added before the 2014 NFL season in the northwest corner of Heinz Field further enhancing the game day experience at the stadium. After the 2014 season, the Steelers embarked on expansion project that adds 3,000 seats to the stadium for the 2015 season. Located in the south endzone, the $34.5 million project increased the seating capacity to over 68,000. The Steelers have had great success at Heinz Field, winning three conference championships and two Super Bowl championships since 2001. They also have some of the best fans in the NFL as they have sold out every home game since 1972.